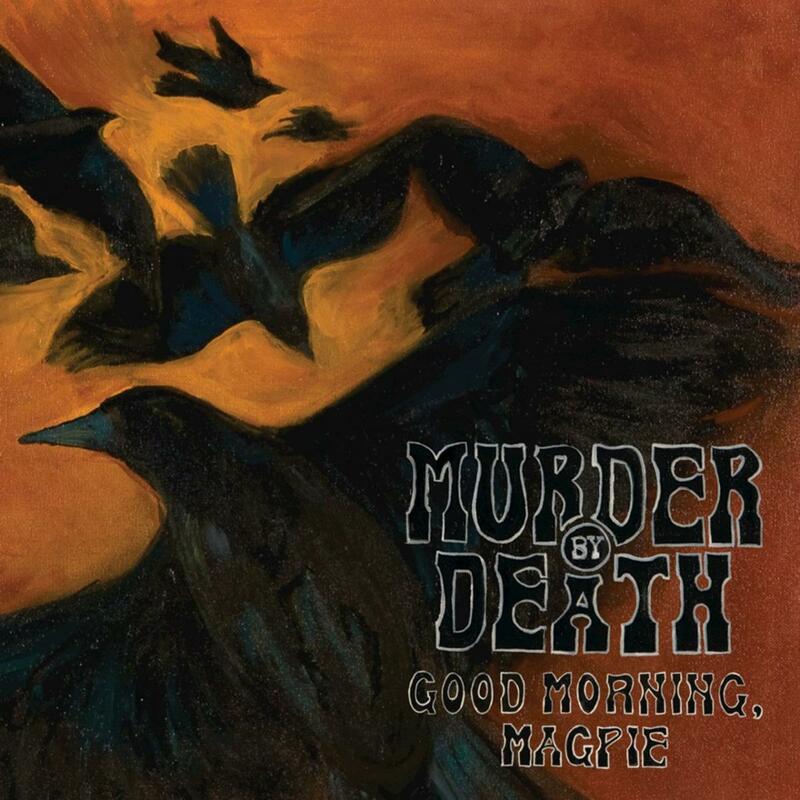 With their fifth album Good Morning, Magpie, Murder by Death continue the tradition of border expansion. The difference, however, is that this time, the band literally went off the map to get there. Good Morning, Magpie, about nature, drinking, growing old, the life of the poor, and even shaving invites the listener into a gothic, western American fiction. The sound and poetry of each song is a stop along that journey. Murder By Death's music has been a constant surprise, always leaving the listener guessing as to what will come next. MBD's most dynamic release to date. Sonically here, their signature sound – rootsy indie rock, cinematic gothic ballads, and rousing pub rock shout-alongs – mixes with enlivening new stylistic elements. Known for their uniquely brooding sound that frequently conjures desolate imagery, on Bitter Drink, Bitter MoonMBD capture that familiar tone but also explore new territory, developing a richer, full-bodied sound. A story of revenge, betrayal and a long voyage hindered by interventions of the gods. The Bloomington, Indiana, quartet are emerging as true artists in the zero-boundary sense: cinematic storytellers whose albums come together in an essential whole, and players whose jaw-dropping performances on record make you yearn for the chance to experience their energy up close and in person. "Who Will Survive and What Will Be Left of Them?" is the second full length album by Murder By Death. It is an album about the Devil wiping a small town off the map. Murder By Death's debut album "Like the Exorcist, But More Breakdancing" is an eclectic album, ranging from beautiful and ambling string-laden compositions to aggresive, complicated and dark rock songs. This isn’t escapism; it’s an emotional survival guide; it's ten songs of reality checks, clever wordplay, and daring arrangements, the aural companion to that buddy who pulls up a bar stool next to yours to help soak away your sorrows. The Blacks alchemical balance of orchestral punk, rootsy psychedelia and gut bucket snarl conjures many reference points, but remains uniquely theirs. A document of heartache and joy on a scale both universal and intimately personal, displaying an independent multicultural rock outfit at the top of its powers.